And so begins the saga of now former F.B.I. Director James Comey who by this point in time everybody knows was fired by President Trump late Tuesday afternoon as per the recommendation of both Attorney General Jeff Sessions and Deputy AG Rod Rosenstein. Fired for as Trump says, “not doing a good job”...which puts it mildly to say the least...James Comey learned from news reports while in LaLaland that he had been fired. While speaking before a group of F.B.I. employees, television screens behind him began flashing the news of his firing. And like a deer caught in the headlights, Comey response was one of feigned shock as he laughed it off thinking it was a practical joke, but little did he know that at the exact same moment he was laughing a letter was being sent to official F.B.I. headquarters telling Comey he was history. 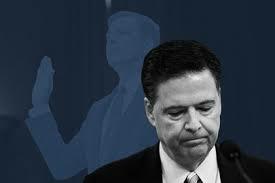 History...but to know the history of James Comey...who was but three years into his ten year term...is to know that it was his history alone that led to his downfall...his firing was just the icing on the proverbial cake. And that cake has two-layers...one layer being Hillary’s emails as the chief reason why Comey was fired, and the second layer being all things Russian as the left’s throwback in Trump’s face as it being the very thing they think he is still trying to hide. And the Obama appointee’s self-inflicted downfall can be traced via a two-fold overlapping timeline that started almost a year ago when the FBI first launched an investigation into what they believed were ties between the Trump campaign and Russia. Acquiring a warrant to spy on Carter Page, a Trump foreign policy adviser with long-held known financial ties to the Kremlin, Comey himself was the one to approve more scrutiny when he deemed it was warranted. Now remember that at this same time the F.B.I. 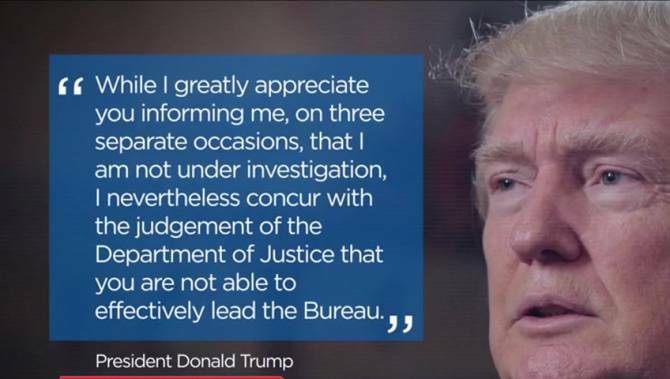 was also investigating all things relating to Hillary’s emails, and on July 5th, James Comey held a press conference to explain his decision that even though Hillary did indeed show “great carelessness” in how she handled and disseminated secret and classified information via her emails on a private server she never should have had, no charges would be brought against her. And Comey followed up just two days later when he spewed the same rhetoric before the House Oversight Committee again defending his decision...a decision that saw him playing the role of judge, jury, and adjudicator of all things Hillary Clinton...a role that was not his to play. But then on October 28th, just 11 days before the presidential election, James Comey announced that the F.B.I. had opened a new probe into Hillary’s emails because they found numerous, previously undisclosed emails “that appear to be pertinent” to the earlier investigation...as in Clinton-related emails found on the confiscated computer of disgraced ex-congressman Anthony Weiner, the now estranged husband of (I believe) Muslim Brotherhood operative Huma Abedin. And then just two days before the election Comey again states that no recommendation to prosecute Hillary would be forthcoming. And while Republicans rightfully seethed the Democrats cheered the outcome, but they no longer fully trusted their once golden boy. 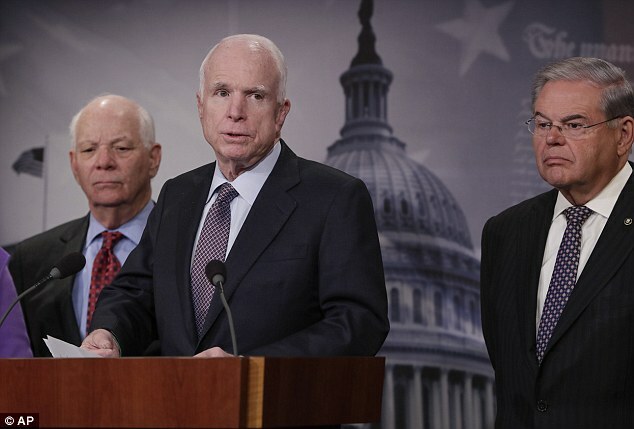 Now for a bite of the Russian part of the cake for in December, RINO Senator John McCain personally gave Comey a dossier from Christopher Steele...a former British spy. In that dossier was alleged proof that the Russians had compromising material on Trump, and that his campaign actively coordinated with Russian hackers to target Hillary. And within a few short weeks the F.B.I. confirmed that the sources cited were credible and could not be dismissed, thus leading the F.B.I. to brief both Obama and now President-elect Donald Trump on the contents of said dossier. 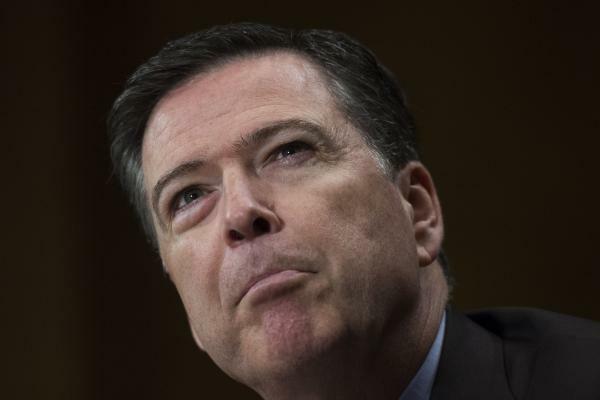 And from this point on it seemed that James Comey’s fate was sealed because on March 20th, after both the House and Senate Intelligence Committees had started their own investigations into alleged Russian involvement in the 2016 election, Comey was called to testify before the House Intelligence Committee where he stated, “[The FBI is] investigating the nature of any links between individuals associated with the Trump campaign and the Russian government and whether there was any coordination between the campaign and Russia’s efforts,” thus making it next to impossible to separate the F.B.I.’s investigation into Russia from an investigation into Trump himself because it was asked, did Trump approve of actions supposedly taken to damage Hillary’s campaign. And how right President Trump was and still is. 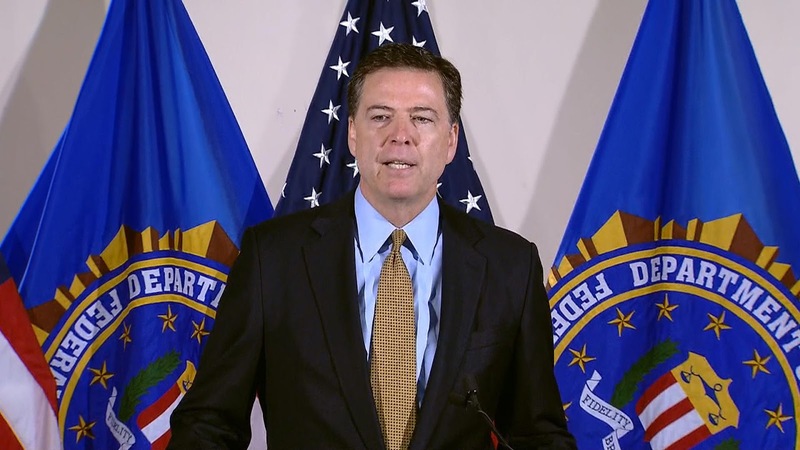 Then the following day Comey defended himself before the Senate Judiciary Committee against Democrats’ charges that he had been inconsistent in speaking publicly about his investigation into Hillary’s emails while remaining silent about indications of improper ties between Trump’s associates and unidentified Russians. But know that if the F.B.I. had actually uncovered undeniable proof that the Trump campaign had covertly worked with the Russians against Hillary, it could well be the kind of scandal that could bring an end to the Trump presidency...but they obviously found nothing of the sort. 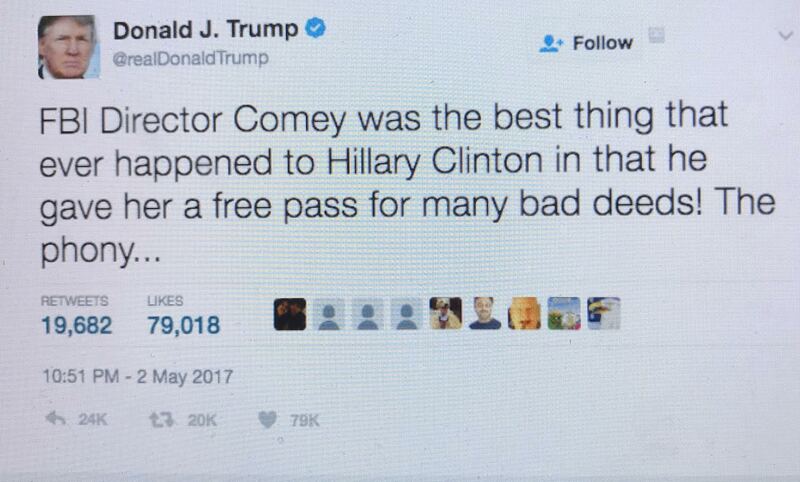 And this now brings us up to speed to this past Monday afternoon when President Trump fired James Comey, but not for his overlapping investigation into never proven-Russian involvement in the election, but because he felt that Comey is “no longer fit to lead the Bureau” as proven by his handling...or should I say mishandling...of Hillary’s email scandal alone. But this above stated history and timeline would not be complete without a footnote being inserted here...an important footnote for notice how news of James Comey’s firing did not leak out before it was officially announced...did not leak out like so many other important things have recently leaked out...with most being scapegoated onto the Russians. And why was this...could James Comey...who was well known to play both sides of the political aisle...possibly be the very leak...or at least one of the leaks...President Trump and his people have been looking for...just something to think about. Now at this point you need to accept as fact that James Comey did play both sides of the aisle and never hid the fact that he was doing so...meaning all credibility he ever had is now lost. And some Democrats...Democrats who held grudges that Comey even dared to investigate Hillary and who spoke out against him more times than not...are now defending him. One example is Chuck Schumer who in the past called Comey’s ability to lead the agency into question, but who has now that the deed of firing him been done said that the decision to fire Comey was “indicative of a cover-up.” But why the sudden flip...could it be because Schumer and his fellow Democrats realize that they have lost their ‘pipeline’ into the Trump administration’s doings...again just something to think about. "The timing of this firing was very troubling," said Senator Ben Sasse, a Nebraska Republican who never was and still is no fan of President Trump. 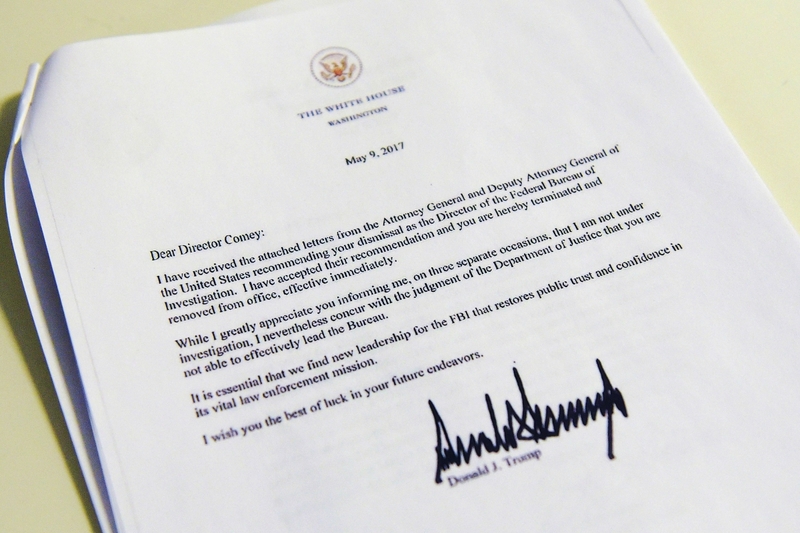 Timing indeed, but it is not the timing of Comey’s firing that must be called into question...as the president can Constitutionally do so at any time of his choosing...but the fact that some on our side...that some Republicans... are questioning the firing at all. 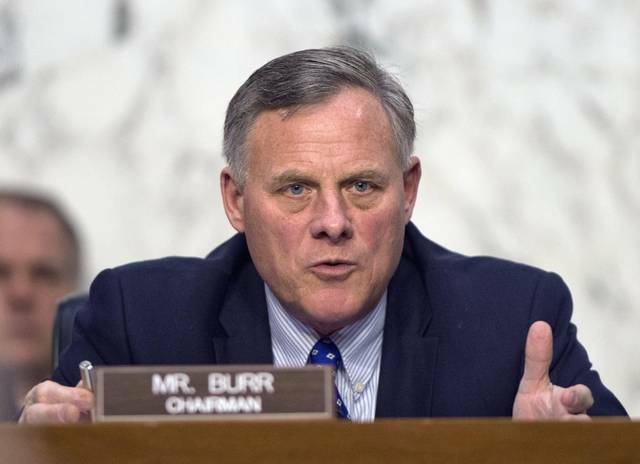 When Senate Intelligence Committee Chairman Richard Burr (R-NE) said that he was, "troubled by the timing and reasoning" of Comey’s firing adding that, "I have found Director Comey to be a public servant of the highest order...and his dismissal further confuses an already difficult investigation by the committee”...you have to wonder why a farce of an investigation by a farce of a committee is still wasting our hard earned taxpayer dollars looking into ‘supposed’ Russian involvement in the election that Hillary lost...translation...looking into something that even the F.B.I. found no evidence whatsoever of it happening. Found no evidence of it happening...yet #NeverTrump Republican Jason Chaffetz, the chairman of yet another committee...the House Oversight and Government Reform Committee...sent a letter on Wednesday to the Justice Department’s inspector general asking him to expand the review of the FBI’s actions during the 2016 election and to include the “facts and circumstances surrounding” Trump’s firing of James Comey. And this leaves one to wonder just why Chaffetz cannot accept the fact that Comey was fired simply because he was “not doing a good job.” Seems Chaffetz has a lot of problems with President Trump’s decisions of late...maybe that is one reason why, besides his kumbaya stance on muslims, that he is not running for re-election. And Comey’s being fired now that rumors are circulating that he recently asked for more ‘resources’ to continue that investigation...throws a wrench into any and all ego-driven investigations even though it was announced yesterday that James Comey will appear next week in a private meeting with said committee in his now private citizen guise. And that leaves one to wonder if James Comey will sing the same tired old song or if he changes his testimony yet again, especially since former national security adviser Lt. General Michael Flynn has been subpoenaed by the Senate Intelligence Committee to provide them with documents relevant to its Russia inquiry...the very documents he refused to provide last month. 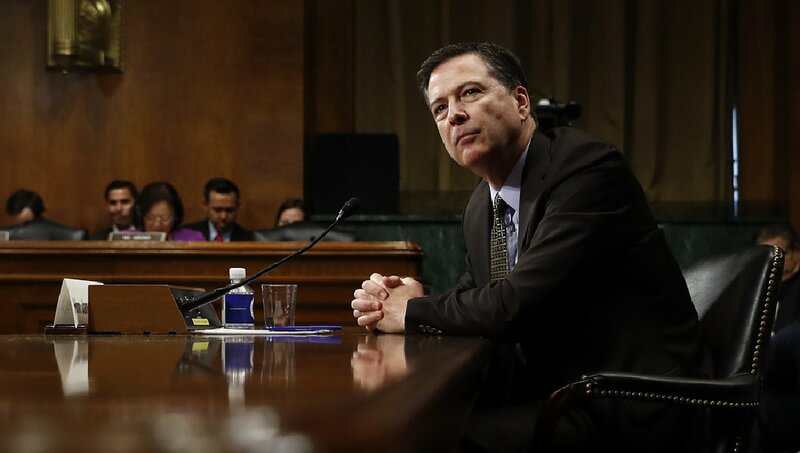 But the bottom line in all this is that James Comey, his overinflated ego, and self-anointed bravado, is his own worst enemy for he thought himself untouchable no matter that he was previously only trusted by Democrats when his political decisions leaned in their direction, that Republicans only trusted him based upon their like or dislike for President Trump, and the American public did not trust him at all after he let Hillary off scot-free. If the man had any decency or love for this country in him, he would have resigned a long time ago for the handwriting of his firing was on the wall and had been ever since Donald J. Trump placed his hand upon the Lincoln Bible and assumed the office of the presidency. 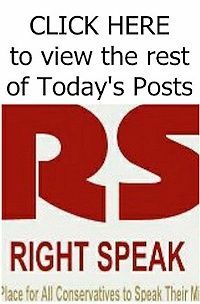 But know that President Trump had a very difficult decision to make, politically wise, for he knew both the kudos and the flack that he would get, yet he made that difficult decision and did so for the good of this country. And while his decision is indeed raising a maelstrom with some in both political parties, that very decision actually serves the F.B.I. itself well for it gives them a chance to rebuild the trust they have lost with ‘We the People’ and it gives them the chance to, as Senator Lindsay Graham of all people says, "The FBI is one of our nation's most cherished and respected institutions, and today will mark a new beginning for our crown jewel of law enforcement." And you know what...Lindsay Graham’s statement proves the old adage that even a broken clock is right twice a day for he knew that James Comely had to go as he was the face of an F.B.I. that no longer served this country or her people well. 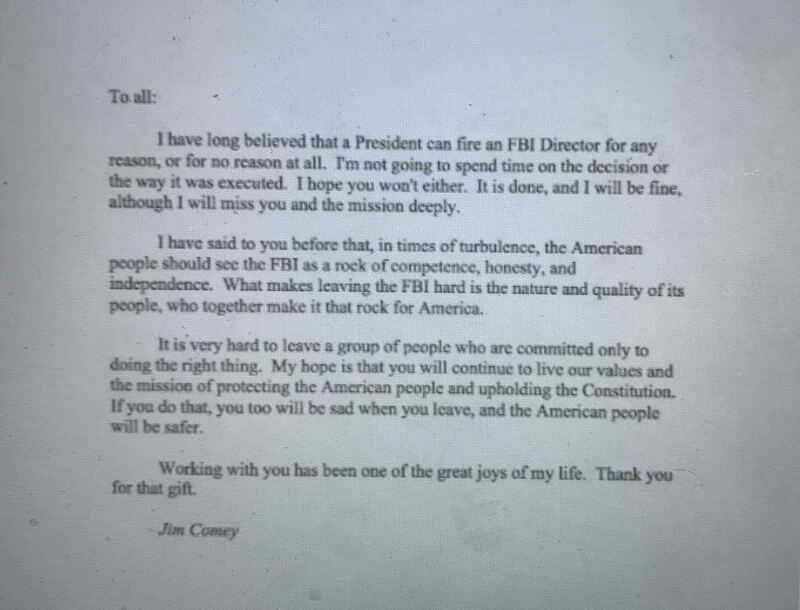 And Comey himself must have known deep down that this was coming as witnessed by words in his farewell letter to the F.B.I. 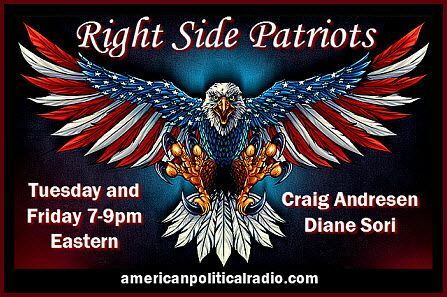 where he both tried to temper down those angry over Trump’s decision and where he urged the organization to continue to protect the American people and uphold the Constitution. 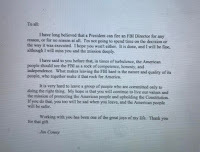 Saying that he has “long believed that a president can fire an FBI director for any reason, or for no reason at all”...James Comey has finally spoken the truth. So to the Democrats who are erroneously saying that the firing of James Comey bears a direct parallel to Richard Nixon’s firing of special investigator Archibald Cox who was looking into the Watergate scandal; to the Democrats with 'selective memory' who willingly choose to forget that their very own Bill Clinton fired F.B.I. Director William Sessions in 1993 over 'supposed' financial irregularities; and to the few but oh so annoyingly vocal disillusioned Republicans amongst us I say, Donald J. Trump is the duly elected president of our country, and the sooner you accept that as fact the sooner our country will start to unite and heal, and move America on towards greatness once again.